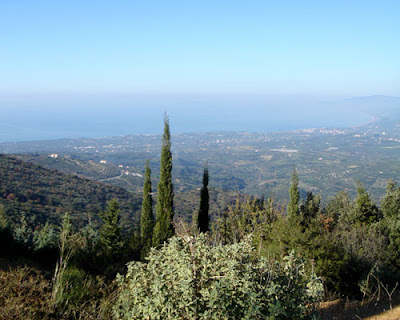 In the mountains of the district of Kyparissia of Messinia in the region of Pelopponessos lies the Monastery known as Katsimikados (Κατσιμικάδος). It received its name from a miracle which happened there in the year 1000 AD. 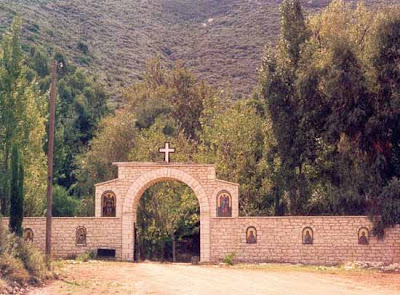 A shepherd was tending to his goats (κατσίκες) on the spot where the monastery is today (it did not exist then). This shepherd noticed that one of his small female goats (κατσικάδα in the regional dialect) would leave the others and when it returned its beard was wet even though there was no source of water anywhere near the area. Out of curiosity one day the shepherd followed this goat to see what source of water it had discovered. Finally he noticed his goat go into a bush and soon emerged with a wet beard. Overjoyed the shepherd ran and told the villagers that a well was discovered in the area. 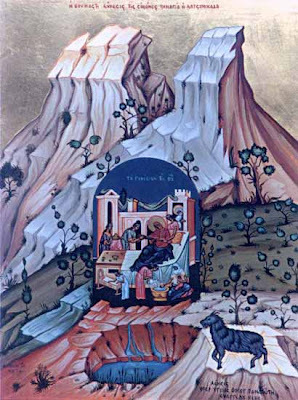 Together with the villagers the shepherd helped remove the bush to uncover the well, only to discover an icon which depicted the Nativity of the Theotokos (sources do not tell us if it was found in the water or not). 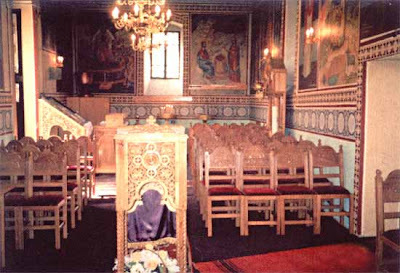 The shepherd then proclaimed: "It is the Panagia and we are the goats" ("η Παναγία είναι της κατσικάδας της εμής"). 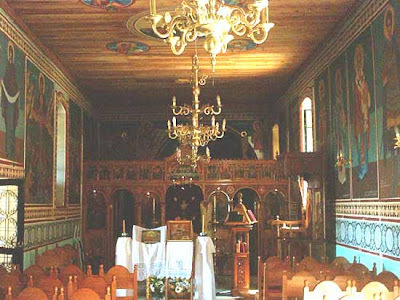 Because of this the miraculous icon came to be known as Panagia Katsimikados. We do not know when the monastery was founded exactly, but upon the discovery of the icon a church was built for it and eventually monastics came to inhabit the area. We know the Venetians destroyed it in 1230. In May of 1825 the Egyptian-Turk Imbraem II destroyed it again by fire while 44 monastics escaped to the mountains with its treasures; 43 of which were massacred. In 1837 it was rebuilt from the stones of the area on top of the previous foundation, and 43 years after that its first monk inhabited it once again. In 1923 its 3 monks passed away (one in 1922). 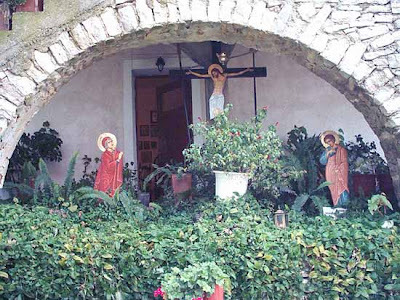 After a number of years 3 nuns came to inhabit the monastery and since then it is a female convent. 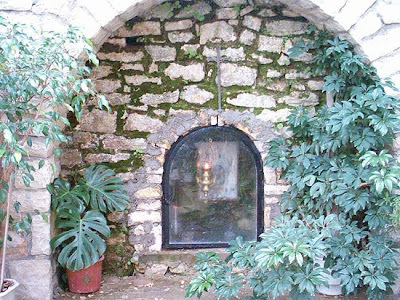 The spot where the miraculous icon was found, and today has an oil lamp which burns before the icon night and day. The beautiful view from the monastery.